French fauvist painter Henri Matisse once observed that “there is nothing more difficult for a truly creative painter than to paint a rose, because before he can do so he has first to forget all the roses that were ever painted.” The same could be said about the perfumer and the art of creating a rose fragrance. At once familiar and desirable, the rose theme has been explored in the modern perfumery quite widely, which means that creating something new and daring requires not only forgetting the classical traditions, but also being able to erase the familiarity, to surprise and to even shock. If the honeyed sweetness is usually to anticipated, this composition is saturated with the leathery dryness. Like subtle gradations of color and the repetitions in Paul Klee’s paintings, the unfolding quality of Rose de Nuit leads one from the transparent darkness of rose liquor to the deep shadows of its ambery base. Certain rose absolutes have an almost balsamic, vegetal richness, allowing the rose to reveals its familiar side only in dilution with a neutral substance. Rose de Nuit does not soften this raw darkness, but instead the composition highlights it with the chypre accord. The animalic note makes Rose de Nuit echo the aggressive impact of the classical leather chypre fragrances like Robert Piguet Bandit and Parfums Grès Cabochard, although undeniably its seductive refrain is made less shocking in Rose de Nuit. It repeats the rose theme in the base, suggesting its smooth, satiny touch, but never offering the full view. Like glimpsing into the dark room through the carved screens, one is left to imagine the rose that is hiding under the layers of woods and amber. Yet, whether those veils conceal a lover or a flower is a mystery that Rose de Nuit never answers with certainty. Like other Lutens’s fragrances, Rose de Nuit would also be suitable for a man, because its floral accord lacks the voluptuous sweetness found in the feminine fragrances. Those looking for a photorealistic rose rendition will be disappointed in Rose de Nuit, because its rose is rather abstract. On the paper strip, the fruity notes are more obvious, creating the apricot leather interplay, while on the skin, I find that the composition falls straight into the dark abyss. 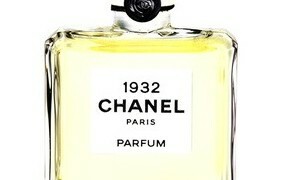 Notes include Turkish rose, yellow jasmine, apricot, amber, musk, sandalwood, beeswax. Rose de Nuit is part of Les Salons du Palais Royal Shiseido exclusive line. mreenymo: V, from your description, I can’t see this one really appealing to me. Bandit is just too much for me, and though I love to sniff Cabochard, I would not wear it. Your review is wonderful, however, and has given me a real sense of what the fragrance is like. annE: It is so much fun reading all the rose-themed reviews! I used to think I didn’t much care for rose, but lately I’ve become a rose lover. First time commenter here. I have been reading your site for the last three months, and I am very impressed with the work you have done. I am only beginning to discover the fragrant world and you are opening many doors for me. I used to be loyal to Madame Rochas, but now I want something new. I purchased a set of Serge Lutens samples on Ebay, with Rose de Nuit among them. After reading your beautiful review, I immediately tried it. I find it very dark, but I am willing to persevere with it, because as I am learning some fragrances take time to develop. Thank you for your beautiful writing and above all thank you for making your site such a warm and special place to visit! Now that I made my first comment, I hope to be more vocal. All of the ladies posting here are very knowledgeable, and I feel shy. Thank you for your warm welcome. I look forward to participating more in the discussions. I am discovering that exploring the delights of olfactory senses can be such a joy. There will soon be a chypre in the SL collection, of course: Chypre Rouge. I can’t wait. I have decided that Rose de Nuit is too dark for me, but Muscs Koublai Khan works better. I will have to find a bottle of it. Where can it be purchased?